In recent years, one company after another has brought up ways in which Americans may soon be able to use their cell phones as a form of mobile wallet. Most of the ideas under consideration, however, have involved providing additional banking services to Americans who already have extensive forms of access to financial institutions. While these new services will add an unprecedented convenience factor to banking, they will not fundamentally expand banking services to new groups of people. 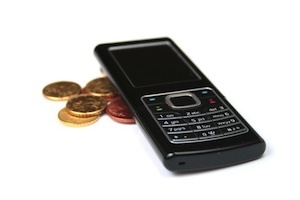 A new survey conducted by the U.S. Federal Reserve, however, has focused on this very issue: how can cell phones empower customers that currently are underserved by the nation’s banks. Not so very long ago, it was believed that online access would be the key to solving this problem. Then, it became clear that there was a ‘digital divide’ between the haves and have-nots; many Americans who lack bank accounts also have no broadband or even internet access. Cell phones are another story, however. The trend toward mobile communications has been so extensive and rapid that researchers are realizing that there is no real digital divide when it comes to cell phones. Even those who have no home computer and very little PC-based access to the internet tend to have at least one cell phone. By using their phones, such Americans can indeed participate in the online revolution and begin to access banking services. According to the Fed, more than 85 percent of Americans possess a mobile phone and already more than 20 percent of us use our phones in some kind of way that involves financial institutions.